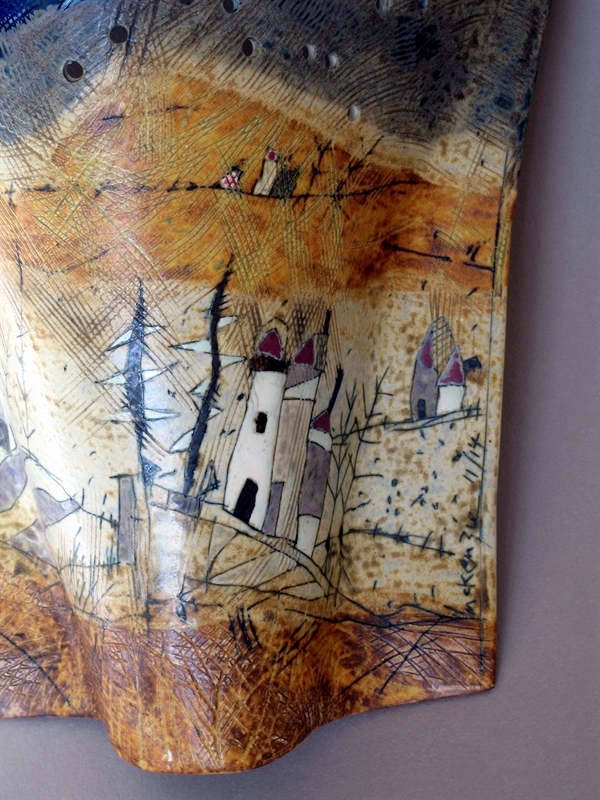 David and I both have recurring dreams of being back at the old farmhouse in the Gatineau Hills of west Quebec, where we set up our first pottery in 1979. It continues to be a place that has a huge presence in our psyches, our dreams and imaginations. We moved in on June 1st and right away we were eager to start a garden. We turned over a small patch behind the house and discovered that the soil was gooey and grey and that a handful could quickly be turned into a pinch pot. 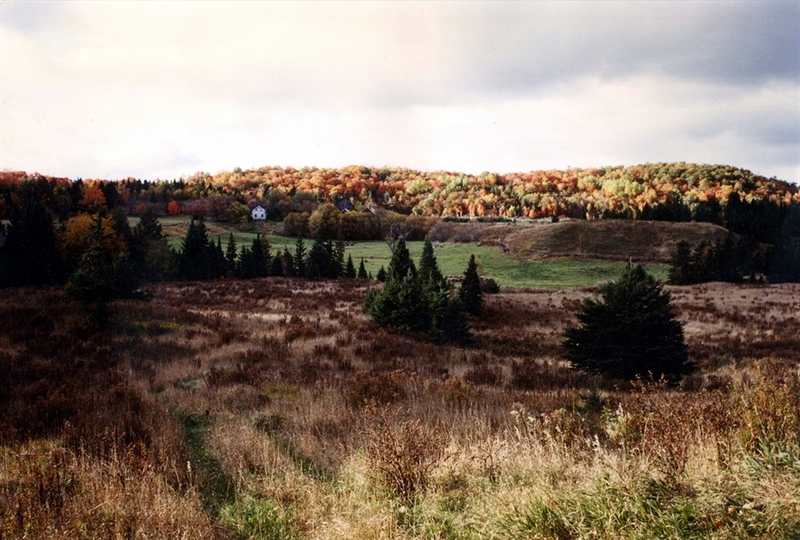 This was our first hint that Leda clay is ubiquitous in the Gatineau Hills, this farmland being no exception. As potters, we were curious about the properties of this clay and dug up buckets of it from the banks of a creek that ran through the property. After the spring melt, the banks had eroded, exposing some areas of pure clay. In an old ringer washer, we mixed it up with water, then dried it to a working consistency. It was lovely to throw on the wheel, plastic and responsive, but it was not a stand-alone clay due to the high shrinkage rate. 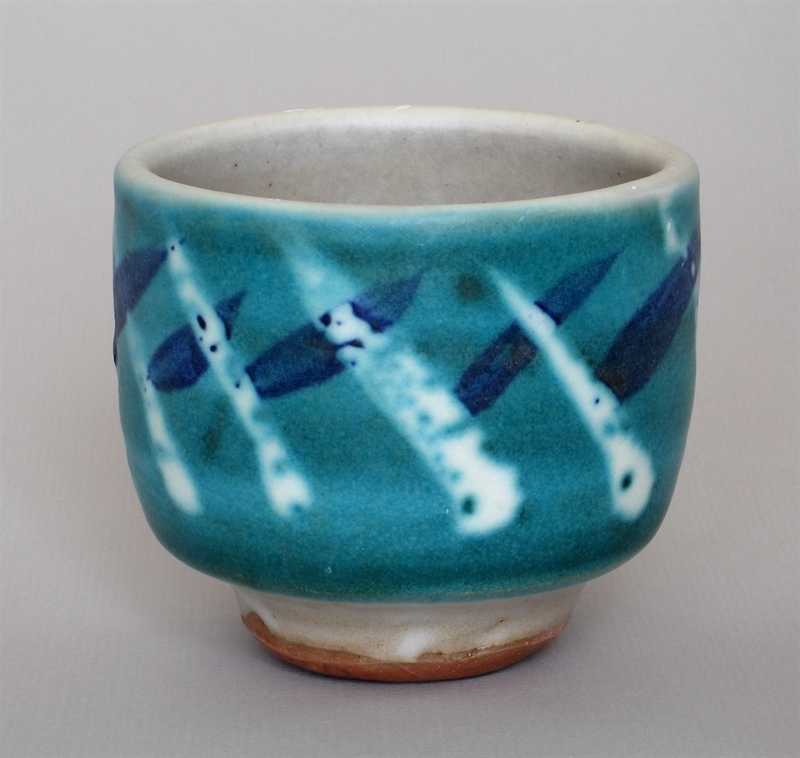 With the addition of fireclay to give it tooth, David made some pots with it and these pieces were fired in a small wood kiln he built in the back yard. 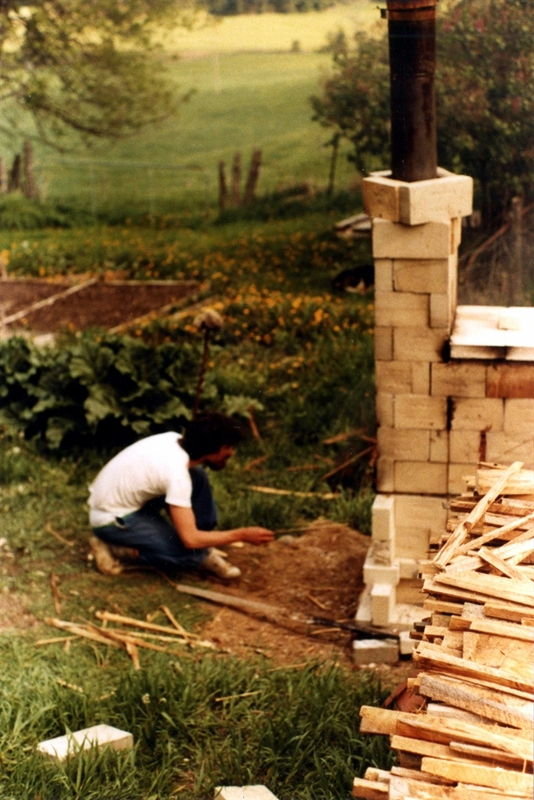 Some results were quite promising, but we never seriously thought about using this earthenware clay and wood firing as a feasible way for us to make a living. What we did discover, though, is that at our porcelain and stoneware high temperatures, the local Leda clay would melt and become a glaze. We added oxides and feldspars to the local slip (clay thinned with water to the consistency of cream) and have carried out tests periodically over the years. 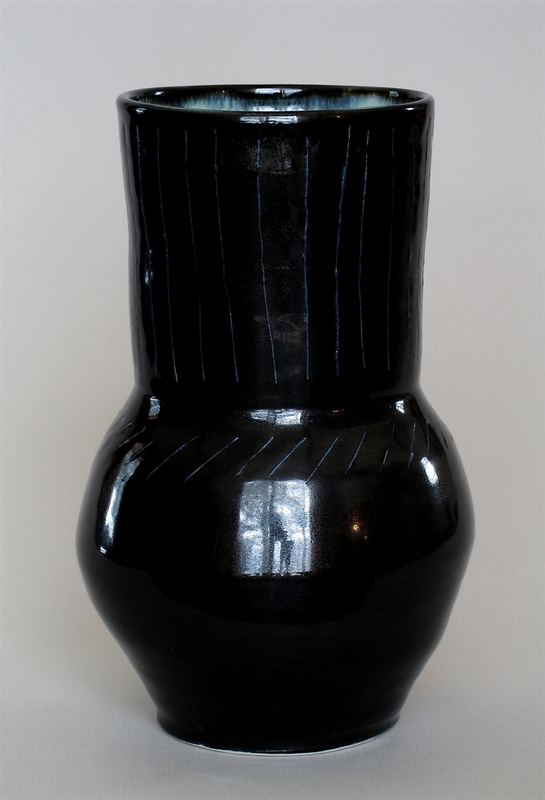 We have developed a lovely shiny black glaze with a slight blue aura from the addition of cobalt oxide. Lately we have both been craving a warmer palette and once again we have turned to the local clay on our porcelain. 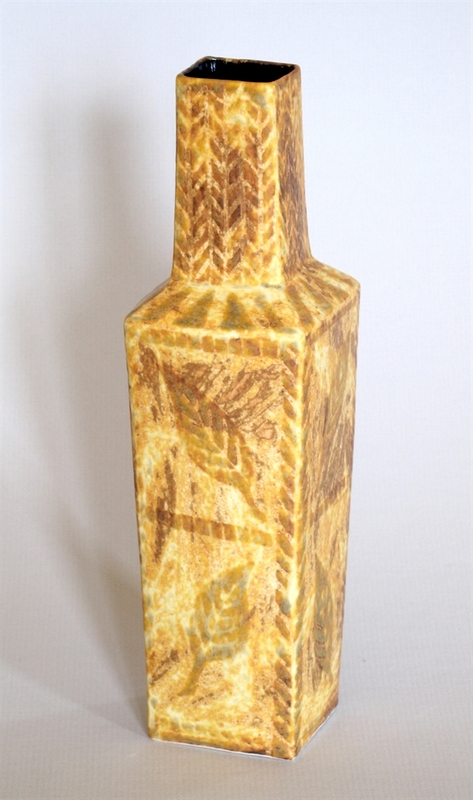 The addition of whiting has resulted in some beautiful ochres, warm browns and textured surfaces, similar to an ash glaze. Rather than using the Leda clay as a glaze on bisqueware, we have been brushing it on dry greenware. 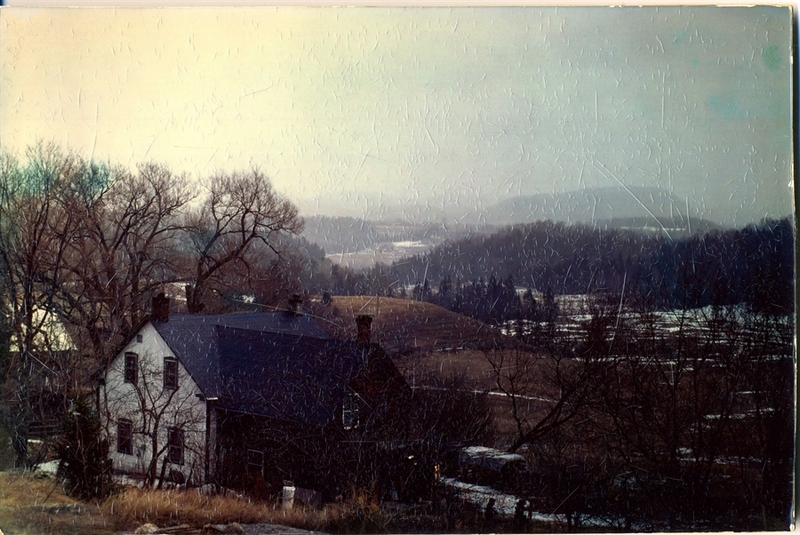 We left the farm 25 years ago when we built our home and studio in the village of Wakefield. We continue to use the Leda clay that we dug up years ago and it is a tangible link to the farm. The dreams also bring us back, separately and often, to the farmland and hills. This entry was posted in Gallery, Marcotte, McKenzie, Uncategorized and tagged Leda clay, Marcotte, McKenzie by mckenziemarcotte. Bookmark the permalink. Thanks, Geri. It was a special place, the old farm. A wonderful window into your creative process. I’m glad you liked it, Ken! It’s great that you came to visit us here in the hills.